my NiMH-Vectrix does not charge anymore. If I plug in, the display makes its self-test-sequence and turns off after that. After pulling the plug, a few seconds later the relay in the Runke Charger (HW 2.1) drops out and you can start this procedure again. During the display self-test-sequence the charger appears in the tab with the Software revisions in Scooter-Diag. After that it disappears and is off. In this state you can switch the scooter into GO-mode! I also noticed the following: While riding the bars behave like a voltmeter. But: The voltage display (Killswitch off, left brake) does not show up anymore.... Is the voltage only measured in the charger? - I have dismanteled the charger and have checked the power semiconductors and some other parts. No "electronic" smoke inside. - I have pulled the anderson connector and reconnected it (with a light-bulb-ICL) in order to make sure that this is no software lock-up. Has anyone a hint, how to solve this problem? I had a similar problem where a fault on the temperature sensor control boards prevented the charger from working by preventing it from communicating via the CANbus and the battery gauge only worked like a voltmeter. With the front and rear temperature sensor boards unplugged, the charger began working properly again and I was able to fully charge the battery. 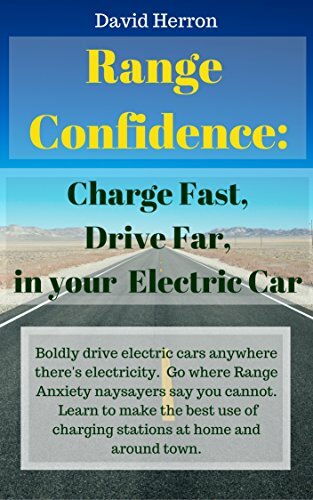 It would initially try to charge, but the headlamp came on with the charger and I too could enter the "GO" mode and even operate the motor on the main stand whhen the charger was plugged in and turned on (without needing to turn the ignition key to the on position). Mine has the ESD charger, but I presume a similar fault on the temperature sensor boards could also affect the Runke/EVPS charger. You may well have a charger fault, but I would try disconnecting the temperature boards first to see if it has any affect on your charger's communication and operation. You may be able to view the missing images directly on Photobucket by right clicking the ransom notes and selecting "Open the image in a new tab" (if your browser supports it). I took the EVPS (2.1) charger out and tried to repair it, but I didn’t find the fault at this moment. During the error search I removed the plugs of the temperature sensor boards, charging still impossible, still able to ride. One time I also removed the charger, but since then I had no response from MC (I cannot see it in ScooterDiag). Now, that I took out the NiMHs (the bike has been equipped with Tesla Batteries now) I found, that the front temperature board was completely burnt due to loose wires in the temperature sensor harness touching some cells. But still I have the problem, that the MC does not respond. :-( The VX-1 can be switched on or wakes up by plugging it in, but I am not able to switch it off with the key. Has anyone an idea, what this can be? MC lost firmware? I have finally bought another MC which was defective, too. But it was much easier to repair :-) With a working MC, the Universal BMS from Vectrixparts and a completly new software configuration the T≡SLA-Battery got its first charge from the repaired Battery Charger. Yippie! I too have a NiMH Vectrix and have been having some trouble with the charger. Bought the bike with a flat battery, I got the voltage high enough for the bike to start self-charging, let it charge to full, everything appeared working as normal. I then managed to ride it for around 12 miles before the battery was nearly flat and went to re-charge it again - will not charge... The bike lights up as though to acknowledge the charger and then switches off. I've been reading around the forum and have found I have the gold runke charger. What I've noticed, is if I pull the left brake with the kill switch off, the Vectrix no longer displays battery voltage either unless i disconnect the rear temperature sensors. No idea what went wrong from the full charge and everything working, riding it, to now not being able to charge it back up again :(. I read around and found you need the PEAK PCAN BUS device. I have downloaded the diagnostics software and have tried in both XP and Windows 7, but get the 'CAN BUS inactive' at the top right in red. I purchased a PEAK PCAN-USB Pro device (IPEH-002061) - the PC can see the device and you can see it in 'pcan view' software from PEAK. Any ideas why this is not working? Do you need the basic CAN BUS device instead? I disconnected the temp sensors and cleaned all contacts on each cell. No dead cells - all had 1.27+Volts. Put the bike together again and put on charge - the bars on the right instantly go to full and then it switches off. Reads 118V and obviously temperature says 0C as no temp sensors are in. The bike will only do 2mph if that, as the battery is far from full. Is this bike now done? Anything that can be done to revive this? Still had no joy with the PEAK sensor either unfortunately. My last thoughts are perhaps use the bike to get the bars back down to 0 again and then instead of using the bikes charger, use an LED driver to get it up to around 135-140volts again? Perhaps then it will charge with the bikes charger? As though it keeps a record of what it believes is 100% battery and this will bypass it. Still had no joy with the PEAK sensor either unfortunately. Check out this post for further details on getting the CANBUS software to work properly. Anything that can be done to revive this? I would suggest that you leave the front and rear temperature boards disconnected from the main harness connectors and then try to charge it again. You might also want to try unplugging the battery cable from the charger for 5-10 minutes and then reconnect, to see if it makes a difference. I realise that yours is a Runke charger, but there are some similarities with my ESD charging problem that I had 3 years ago. I also am sorry for hijacking as I am a new member with a new to 2007 VX-1. I has gotten it from an auction and I am sure it sat in the rain. the auction pics shows the display working but when i got it home, I get nothing. I even tried to plug in and I get no fan noise. I believe I have some juice as I can open the seat with the key switch (electric lock?). I am a total noob and I have been reading threads but I don't really know where to start. I am also assuming I need some existing thread posts to create my own? Again, sorry for the hijack, just need some advice on where to start. The seat works without electricity.